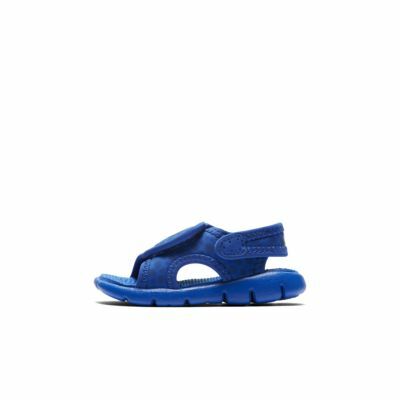 The Nike Sunray Adjust 4 Baby & Toddler Sandal is quick-drying and comfortable with a synthetic upper and lightweight Phylon foam midsole, ideal for a busy day in the water and on the beach. LOVE THESE SANDALS!! We bought these for our son last year (a little bit big) and he grew into them. They were his first pair of sandals. He's LOVED them. We're buying a replacement pair for this year. These were a perfect fit, I have a seven month old and I went by the Nike infant size chart. 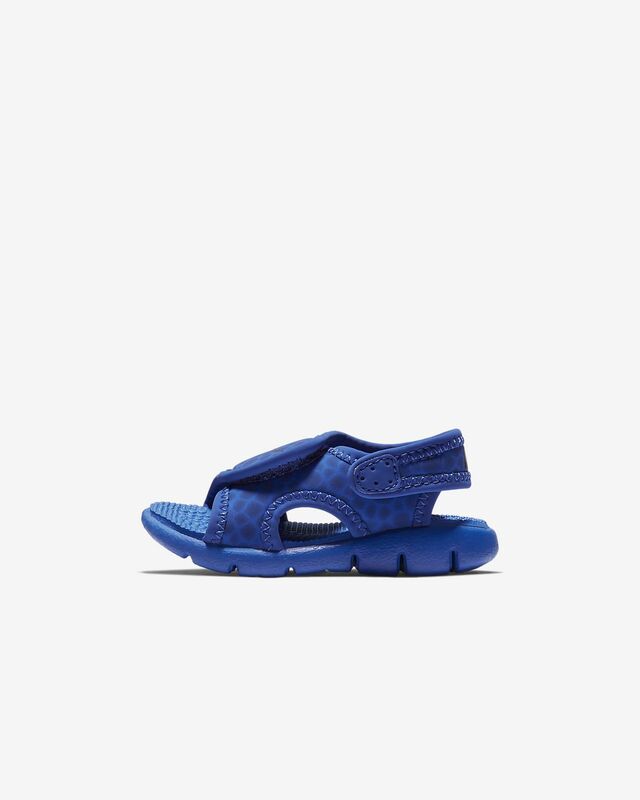 I ordered a size up so he can grow into them very well made and will order the blue color also.